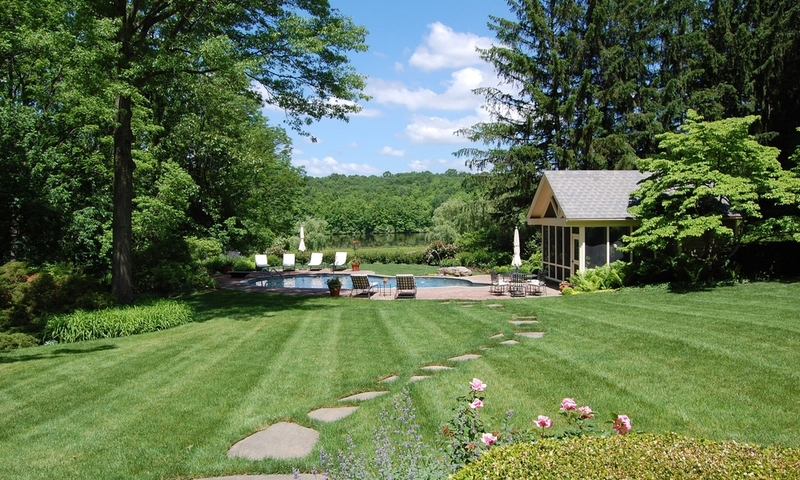 This barn features a renovated barn, and the pool area sits alongside a pool house and a lake. 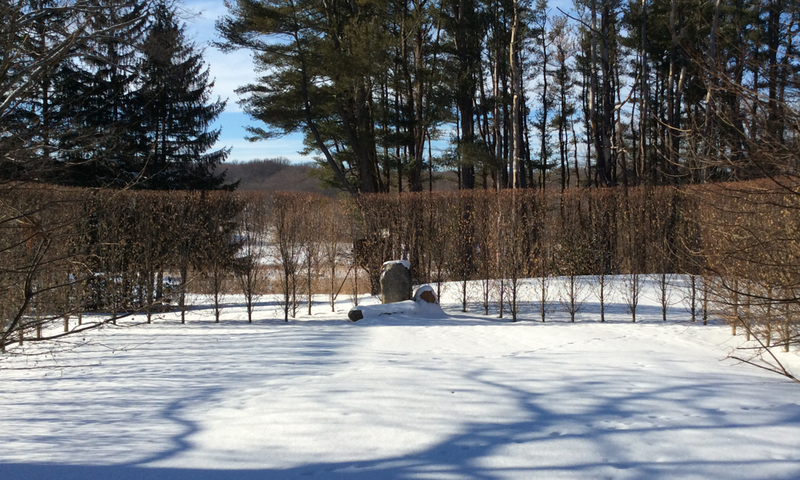 There is a fire pit area within a meadow looking out over the lake. The project team included Architects Lynn Taylor and John Wolstenholme, General Contractor Bucks County Timbercraft, and Landscape Contractor Professional Landscape Services, Inc. This 10 acre lakefront property includes an impeccably restored stone farmhouse and newly renovated timber-frame bank barn. The firm has been fortunate to have worked on this property for over 15 years, with two different owners. Past work included a renovation of the existing swimming pool, construction of a pool house and terrace with a “ha-ha” wall to complete the required pool enclosure without obstructing views of the lake, construction of several multi-level terraces near the farmhouse, and extensive planting work. 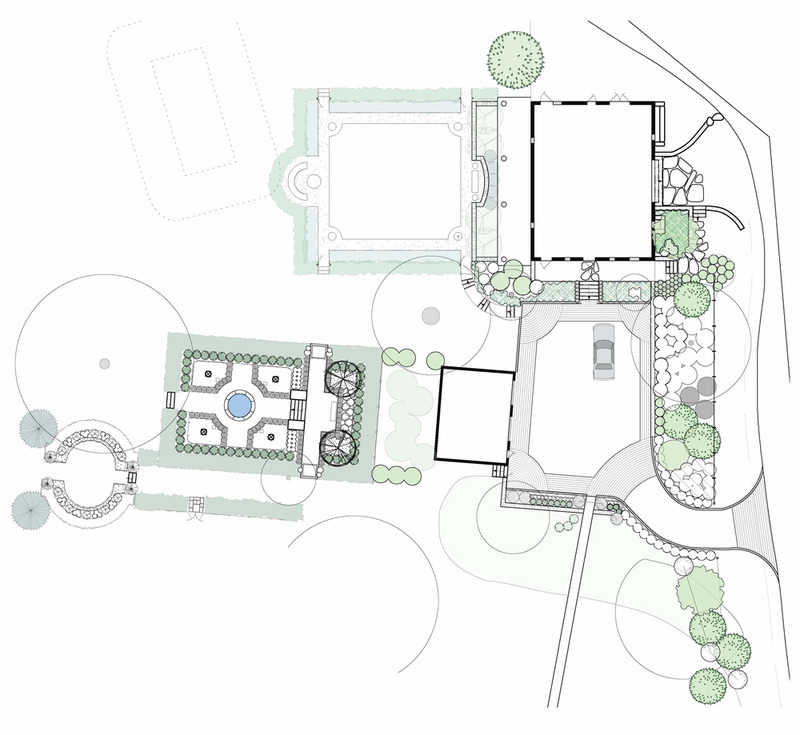 More recent work focused on the garden spaces around the barn, which has been newly restored as a guest house. The driveway and motorcourt were reconfigured to create a more attractive link between the house and barn. Traditional materials and historically appropriate plants help tie the design to the existing structures and landscape. A restored meadow receives and filters runoff as well as enhances the view of the lake. 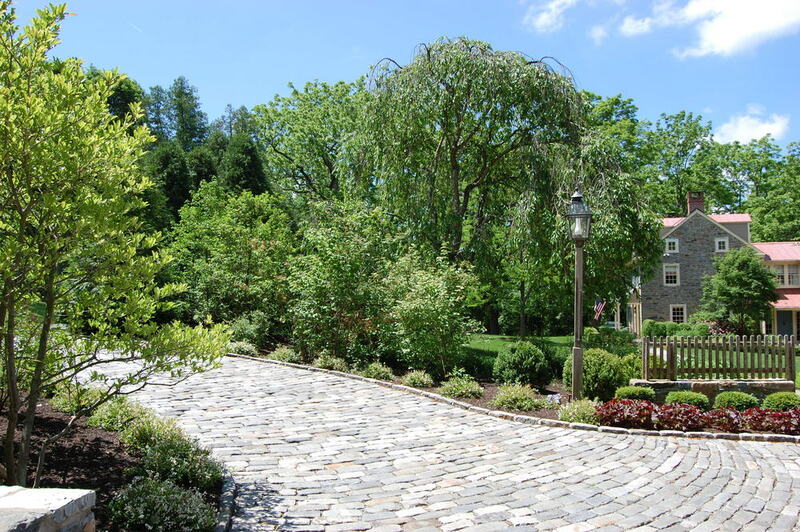 Landscape Contractors: Professional Landscape Services, Inc.